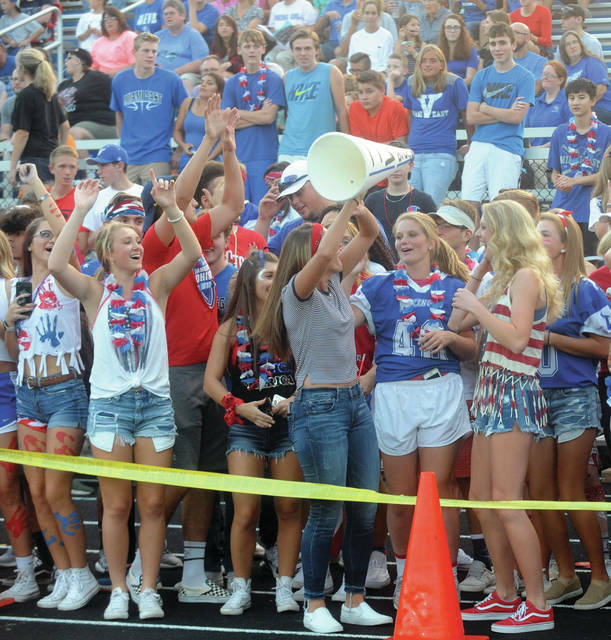 The Piqua High School Marching Band entertains the crowd at Trotwood-Madison on Friday. 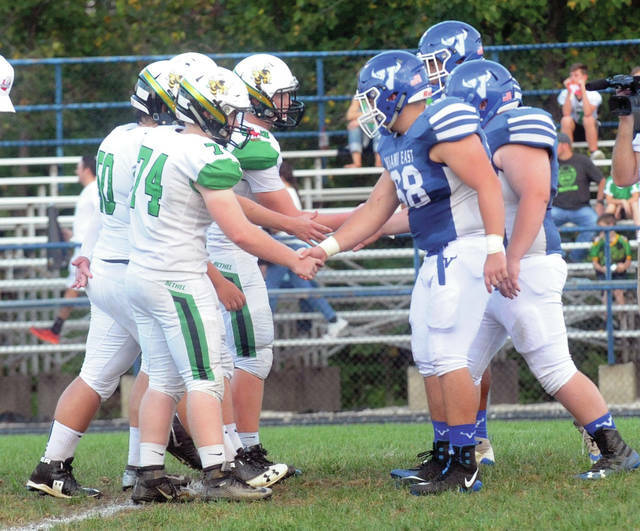 Bethel and Miami East team captains shake hands as the two teams square off for a Thursday Night Lights game at Miami East on Thursday. 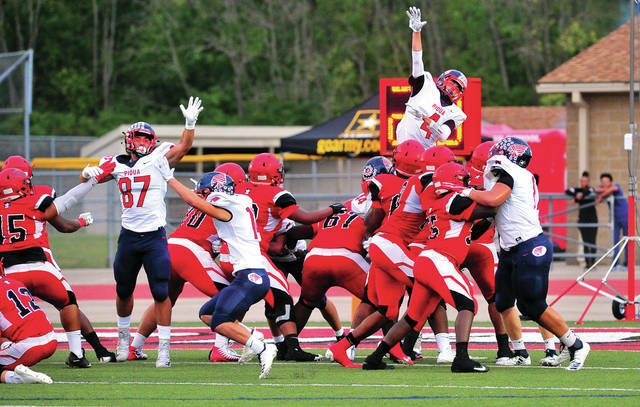 Blane Ouhl, 4, goes up high as Grant Toopes, 87, and the rest of the Indians defense look to block a Rams extra point. 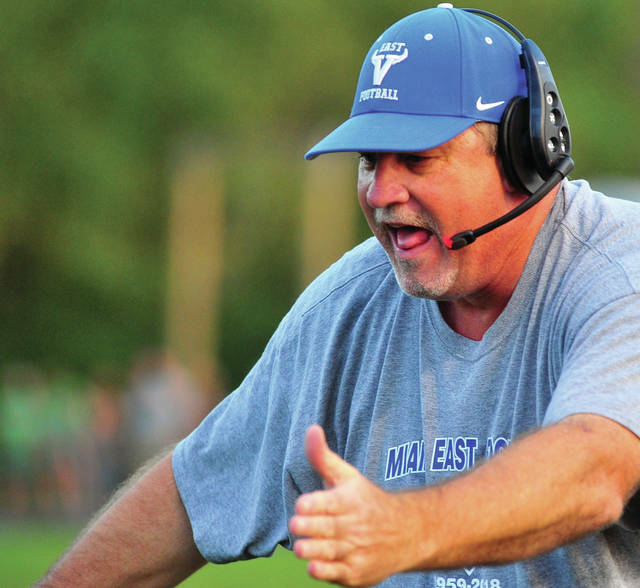 Vikings Head Coach Max Current congratulates his players following a touchdown. 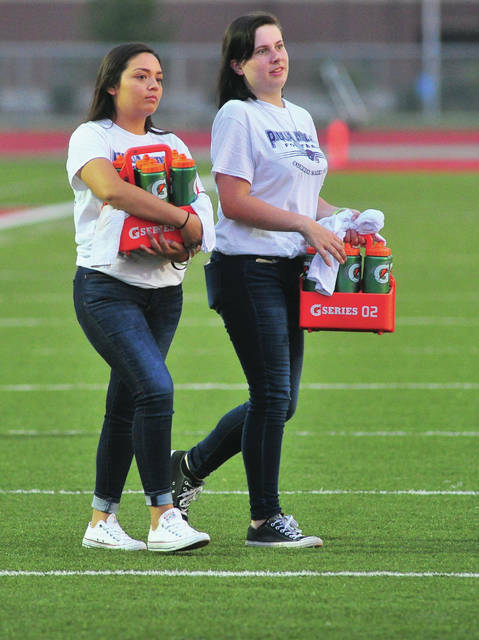 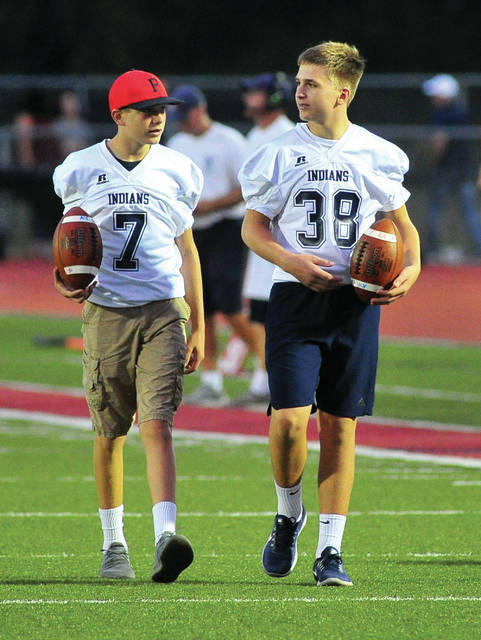 Piqua student athletic trainers Tori Williams and Kierstynn Hutson bring water on the field during a timeout. 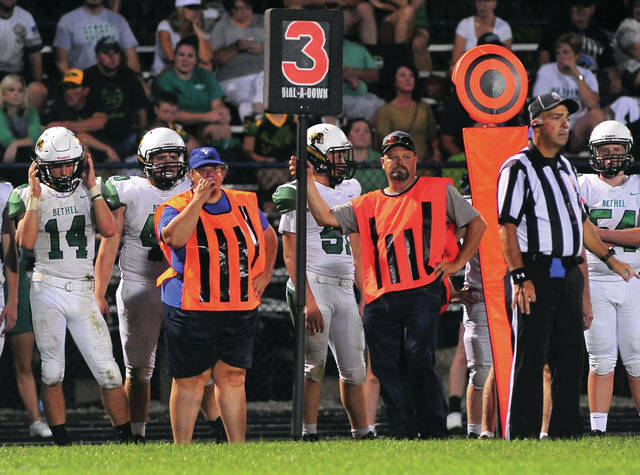 The Miami East “chain gang” plies their trade on the Bethel sideline on Thursday. 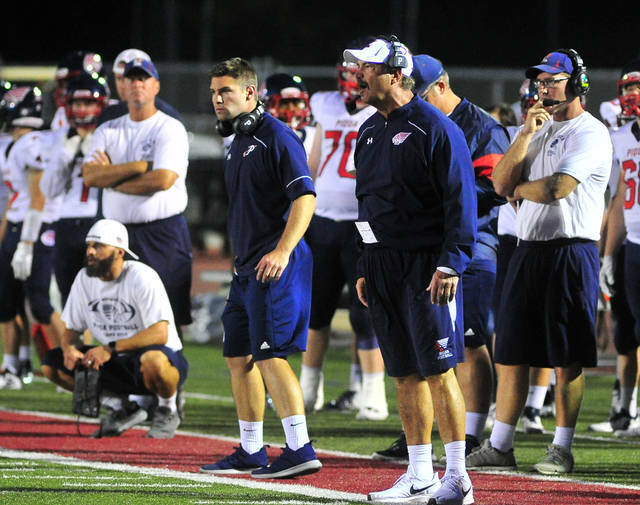 Piqua Indians coaching staff Jon Dolph, Travis Nees, Head Coach Bill Nees, and Troy Ouhl direct the game plan from the sidelines.